Ever wonder if you’re the only one who is witnessing a lack of birds at your feeder? The National Audubon Christmas Bird Count is one way that question can be answered. This year the local team found only half as many Black-capped Chickadees as we normally see. There is a bump in the number of Dark-eyed Juncos which for many were the most abundant birds in the yard this December. Monitoring the evolving populations of wintering birds is one of the main uses of the National Audubon Society Christmas Bird Count now in its 118th year. With thousands of count circles across the hemisphere (27 in Massachusetts alone) The Christmas bird count is one of the longest-running and widespread citizen science projects whose information is used by scientists. The question on most people’s minds is, how do we know we are not counting the same birds over and over. Although we can’t be absolutely sure we’re not counting some birds more than once, the methodology used during the count is the same year after year. This allows us to tell the relative abundance of the birds we are seeing. For larger species like eagles, hawks, geese, and ducks conversations at the tally between teams allow us to compare notes to help eliminate duplication. The information submitted to national Audubon also includes the effort used in the count. The effort consists of the number of observers, the time spent in the field, and the miles traveled by foot by car or other means. The Athol Count was started in 1967 by our 8th-grade science teacher Bob Coyle with many of Bob’s students carrying on the tradition. 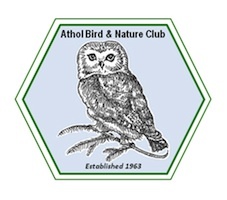 What have we learned in 50 years of censusing the Athol area during the Christmas bird count? We need to be careful how we use the data but the most interesting thing I see in looking over the many years of information is what species are now wintering in North Quabbin that weren’t here when we started in 1967. Looking over the records two dates for these species become apparent. The first date is when the species first shows up on the Christmas bird count. The second date is when the species become fully established and appears in almost every subsequent count. For example, Canada goose first appeared in the Athol CBC in 1973 when 55 geese were found. They appeared again in 1983 but have been seen every year since 2006. This Chronicles the establishment of the non-migratory “golf course” geese we now see year-round. Wild turkeys were absent from the area until 1972 when birds are released in New Salem area by the Massachusetts Division of Fisheries and Wildlife (MDFW). But it wasn’t until 1986 that the birds became well-established and have been counted ever since now numbering in the hundreds. Another species repatriated to North Quabbin is the Bald Eagle reestablished with the MDFW Quabbin hacking program in 1982 and seen in increasing numbers since with a high count of 15 Eagles seen last year and 9 this year. Other newcomers include red-bellied woodpecker first seen 1987, established 2003. Carolina Wren first seen 1975, established 1998. Species like the red-bellied woodpecker, Carolina Wren, Northern Mockingbird, Northern Cardinal, Tufted Titmouse, and House Finch all moved into the area from the South while one species, the Northern Raven, moved in from the north first appearing in 1987 and becoming well-established by 1992. Conducting a Christmas bird is indeed a team effort. This year’s Athol count had 34 observers in the field with 12 feeder watchers calling or emailing their totals to the compiler. Many thanks to the team at Soup on the fly who opened early serving breakfast for the field observers. Many others contributed to the potluck tally held at the Millers River Environmental Center after the count. Results of the 2017 Athol circle CBC include 9,313 individual birds of 61 species listed below: (“cw” refers to “count week” three days before and three days after the actual count) Canada Goose 52, Am. Black Duck 9, Mallard 120, Northern Pintail cw, Hooded Merganser 27, Common Merganser 9, Ringed-Neck Pheasant 6, Ruffed Grouse 4, Wild Turkey 138, Common Loon 1, Golden Eagle 1, Horned Grebe 1, Bald Eagle 9, Sharp-Shinned Hawk 3, Coopers Hawk 3, Red-shouldered Hawk 1, Red-Tailed Hawk 19, Killdeer 1, Ring-Billed Gull 16, Herring Gull 11, Rock (Dove) Pigeon 518, Mourning Dove 337, Great Horned Owl 3, Barred Owl 3, Saw-Whet Owl 5, Belted Kingfisher 1, Red-bellied woodpecker 55, Yellow-bellied sapsucker 1, Downy Woodpecker 115, Hairy Woodpecker 32, Northern Flicker 1, Pileated Woodpecker 15, Blue Jay 564, American Crow 269, Common Raven 35, Horned Lark 20, Black-capped Chickadee 766, Tufted Titmouse 355, Red-Breasted Nuthatch 41, White-Breasted Nuthatch 189, Brown Creeper 4, Carolina Wren 10, Golden-crowned Kinglet 72, Ruby-crowned Kinglet 1, Eastern Bluebird 44, Hermit Thrush cw, American Robin 175, Northern Mockingbird 7, Starling 981, Cedar Waxwing 305, American Tree Sparrow 75, Field Sparrow 1, Song Sparrow 11, American Pipit cw, Swamp Sparrow 1, White-Throated Sparrow 69, Dark-eyed Junco 2451, Northern Cardinal 158, Rusty Blackbird 1, Common Grackle 4, Purple Finch 4, House Finch 114, Pine Siskin cw, American Goldfinch 617, House Sparrow 451.